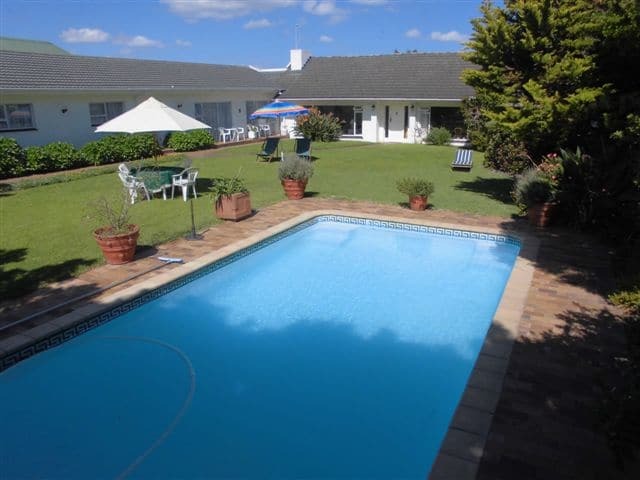 Since 1996 HORTENSIA LODGE in Hermanus is a well known and popular holiday destination for short and long stays. Rolf, the owner, speaks German and attends to every wish of his guests. He has a legendary knowledge not only of the Western Cape but of the whole of Southern Africa and contributes much to make your stay in Hermanus a memorable one. Rolf is a people’s person and many guests come every year to enjoy his hospitality. 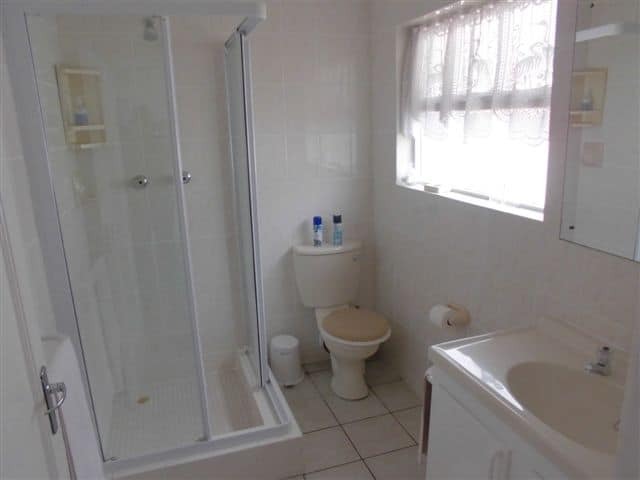 The bedrooms are all en-suite, spotlessly clean and the beds the most comfortable. Public rooms are spacious and guests often remark positive on the tasteful interior. The large garden with blooming shrubs and manicured lawns attract many bird species. You will be woken up by birdsongs and not by traffic noise. 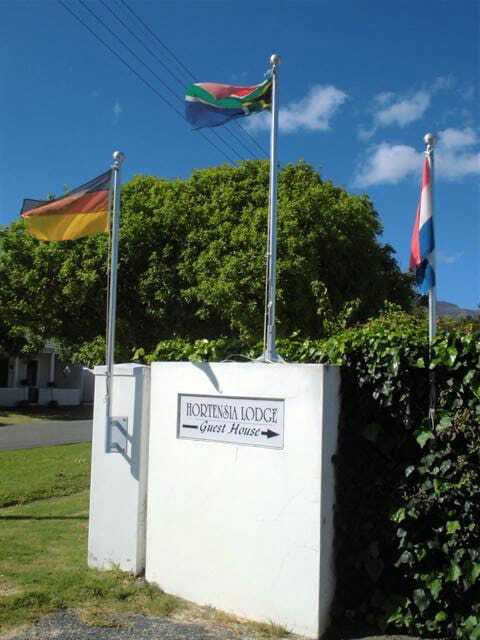 Hortensia Lodge’s position in the quiet upmarket residential area of Eastcliff guaranties a peaceful stay.And…. you don’t really need a car when staying with Rolf as shops, restaurants, coastal cliff path and the picturesque Old Harbour are all less than 900 metres from HORTENSIA LODGE. A sparkling salt water pool is very popular in the warm summer months. 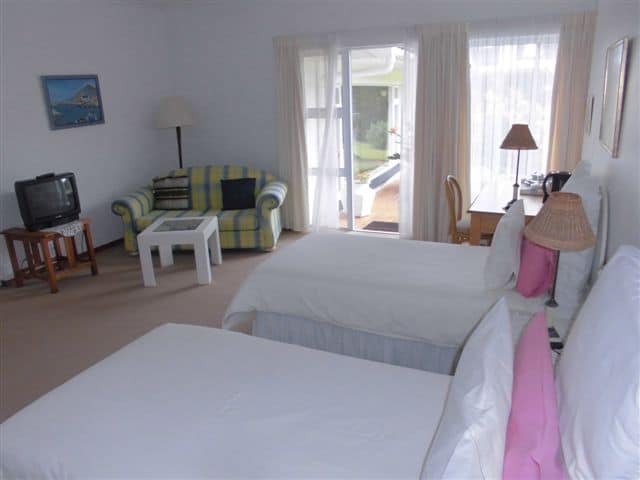 HORTENSIA LODGE offers 4 en-suite bedrooms for a maximum of 10 guests.. 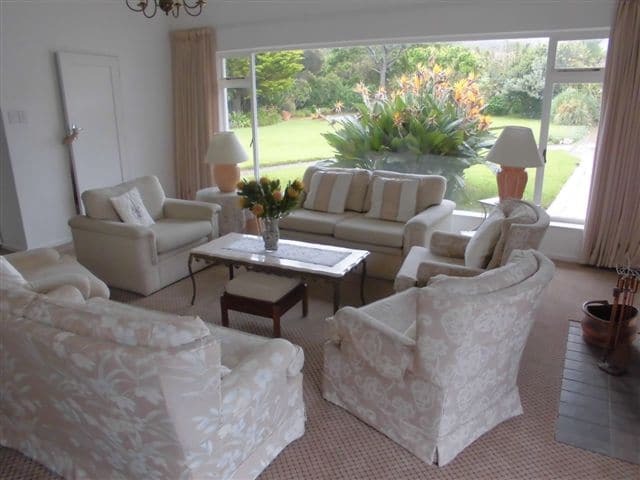 The large garden rooms offer the possibility for a third person on a sleeper couch. Sumptuous and tasty breakfasts are served and Rolf assists to plan your day so when you travel on you will leave with good and lasting memories of your visit to Hermanus. There is safe off-street parking on the property of HORTENSIA LODGE. Rooms are serviced daily and nothing ever is too much for the staff. 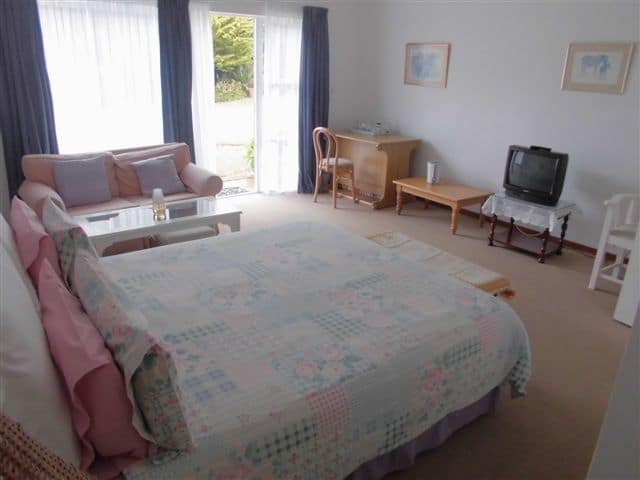 All rooms have tea tray,wall safe, beach towels, TV. For a rainy day (seldom) there is a library as well as board and card games. There is a public phone in the lobby. Rolf sells telephone cards (more economical than cell phone calls). Fax and internet services are offered. The bedrooms are 20 sqm. and 30 sqm.respectively and all rooms have direct access to the gardens. Deck chairs and loungers may want you to stay around the pool instead of being at the beach on a windy day. The gardens are quite sheltered from southeasterly summer winds that can be strong at times. Yes, HORTENSIA LODGE, is a lovely place to stay and you will like it there. 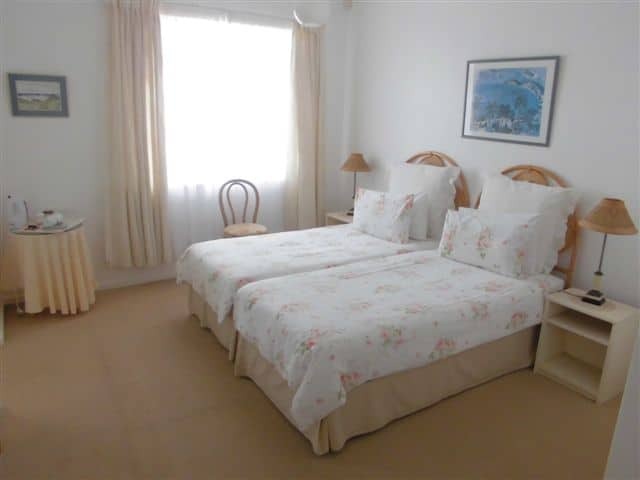 There are many guest houses and B&B’s in Hermanus but choosing HORTENSIA LODGE would be a wise choice because of its ideal position in a quiet area and within walking distance of ALL amenities. 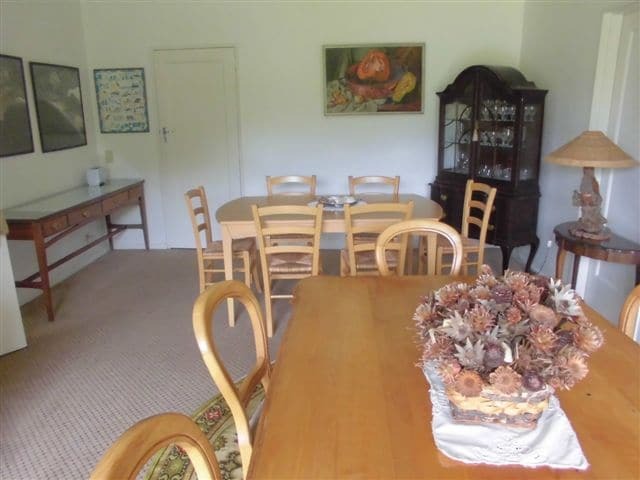 And….. you get exellent value for what you pay to stay in this Guest House. The garden rooms have a queen bed and twin beds respectively. 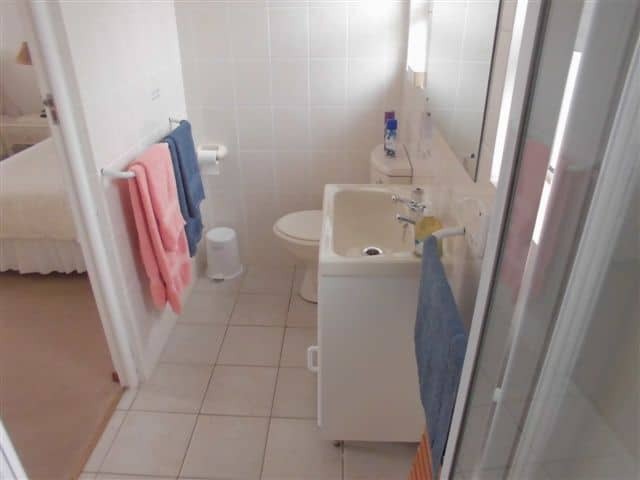 Both rooms have shower /toilet, extra bed / sleeper couch. 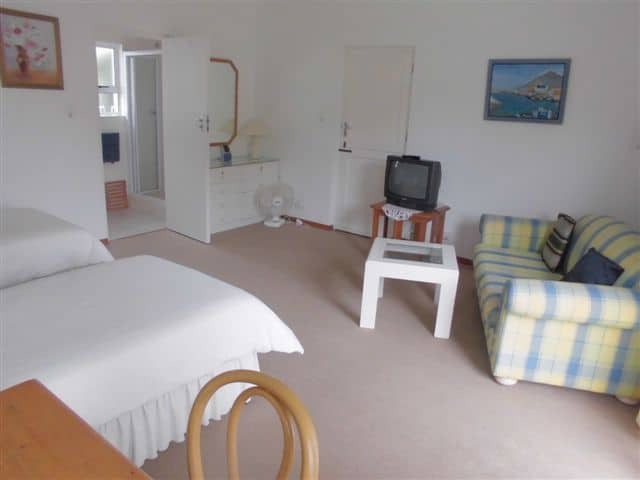 The other rooms cost R 790 (R 395 per person sharing) One room has twin beds, bath and handshower and toilet, the other has a double bed, shower/toilet. A special offer is normally available for longer stays and there may also be specials during the low season (May to August).